1). Q’s posts are literally a “look into the future.” Last night, Q asks, “Who else was @ the meeting in China?” This is regarding Kim meeting Xi. 2). Also, in last night’s post, Q takes us back to the live operation in Shanghai on Feb 7 (date important), where the window was cracked open. 3). A few days later, Q again posts a picture of a building in China, asking “What’s going on in Asia?” Q answers his own question shortly thereafter…. 5). So, it is NOT a coincidence that last night, Q posted this image, titled “seal-team-6-punisher.” Which I found particularly enjoyable. 6). Why is it not a coincidence? Because, Q is, again, pointing back to the ops in China. Why now? Because Q is telling us that the meeting between Kim and Xi already happened…. 8). Let’s go back to that Feb. 7 date, when the live ops in China were going down. What else was happening around that time? The winter Olympics. 10). This answers the above question of who else was at that meeting. It was Pence. And Q points us back to the Ops again, hinting that Kim has been freed from his clown controllers. 11). In that same Feb 11. 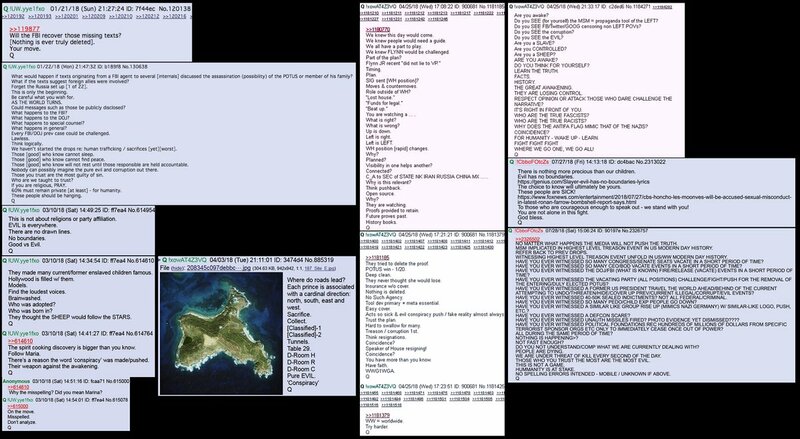 Post, Q also confirms that it was the clowns, Hussein, HRC that were responsible for the missile launch that caused the “false alarm” in Hawaii. It was a desperate attempt to provoke a war with NK. 13). Last night, Q also says that Kim to China represents something vital. And ends that sentence with [KEY]. 15). Here, Q is talking specifically about how information is disseminated. And who controls it, who controls the MSM. Well, we know that Clowns control the MSM + social media (FB, TWTR). 16).Therefore, we can infer that the “key” is all the information that the clowns have been keeping from the public. Information unlocks all the doors. And so, with Kim being freed from his clown captors, this means that the clowns are no longer in control of information. 17). Which is also related to the deal cut with Snowden, and, which explains why fake news has nothing other than Stormy and why Zuck, Ev Williams, etc, are dumping their stock as fast as they can. Cause its over for them.
. Re-read Q drops; re: [Nothing is ever truly deleted]. 1. #QAnon: Rosenstein approved/signed FISA-warrant application(s) to extend surveillance on @POTUS/others. [[Rod Rosenstein]] @ White House. Tip top tippy top. Think timing. "Why was Rachel Brand removed? 3. #QAnon posts one of the @POTUS' perturbed tweets that shows 2 instances of unnecessarily capitalized R's. @realDonaldTrump's seen the unredacted report, and redacted report, redacted to protect the guilty. Release the #Unredacted report!